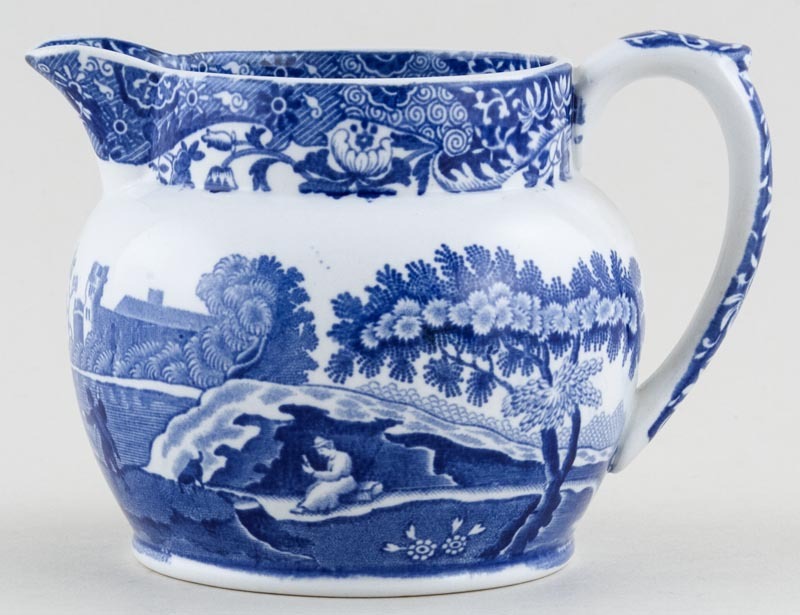 Small Dutch shape jug. Backstamp: Copeland Spode's Italian England. A little excess blue spotting here and there otherwise excellent condition.